As a traveler, taking photos has always been a part of every adventure. Travelling is so much fun when we capture the best out of our travels and share photos with all of our friends. But aside from taking photos with the use of your phone, there are so many cameras nowadays that can be used and if you are looking for one, then you have to try the SUPREMO 4K! The Supremo 4K is a Wi-Fi capable action camera that can take high quality photos and videos up to 4K which is considered Ultra-HD. This camera is ideal for different types of adventures whether you are in the mountains, at the beach, on the road, or just during your everyday activities. In addition, another great thing about Supremo 4K is the affordability of the camera. Compared to the previous Supremo 1 model, the new Supremo 4K is pack with more added features and an improved design. It has a 16MP Sony IMX Sensor and a much faster processor. From the first look, you can already tell that this camera is tough enough to capture all of your travels and adventures. Another advantage of the Supremo 4K is that it comes with a wrist watch remote control that you can use for taking photos and videos. Supremo 4K has 3 buttons for power which can also be used for selecting options, Wi-Fi, and for taking photos and videos. The matte finish, the blue leds and the minimalist lay-out adds to the masculinity of this camera. It is actually a great design! Aside from the Wi-Fi Wrist Watch, you can also take videos and photos using the Supremo ld App that is available on Apple Store and Google Play. Supremo 4K also has a screen to preview of your photos and videos. Even though it is not a touch screen, controlling the camera is pretty easy using the control buttons. It’s a matter of getting used to it. The waterproof case is very easy to use and can withstand pressure up to 30 meters. When I opened the box, I was surprised with the amount of accessories that is inside the box. Different mounts gives users more options to use whether on a motorbikes, bicycles, surfing and other water activities. You may contact the stores listed above. Found some cool stickers included in the box already! So If you are looking for a travel partner that will capture every moment of your adventures, then I highly recommend Supremo 4K which didn’t disappoint me at all. For it’s price and other features of the camera, it is really worth it! How is the video performance with the Gyroscope? Hi! Would like to ask if you'd recommend the SJCam M20 vs. the Supremo 4k? 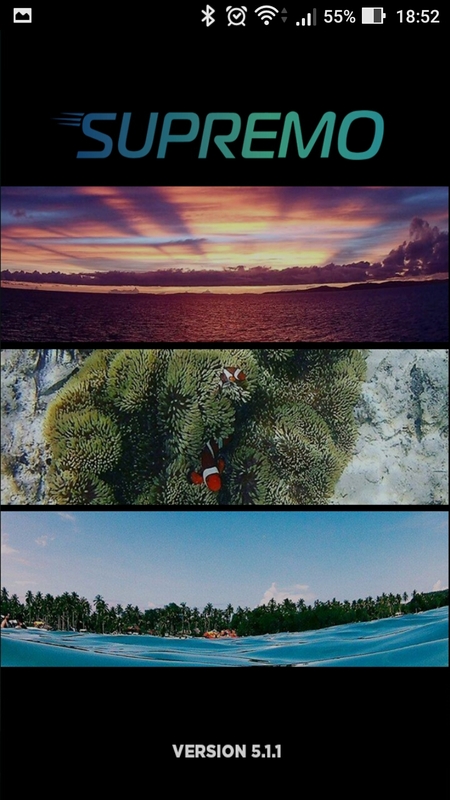 and.. are you able to take photos underwater without using the built-in buttons on the camera? Say like a monopod? I'm asking because the remote watch isn't waterproof. Hi Alucard, I havent had a chance to explore SJCam, I tried it underwater and so far its quite easy to use. They are also all compatible with monopods. Hi Sir! Good Day! I would like to ask what is your camera setting? like the ISO? Exposure? White Balance? Hi Jann, I forgot the real settings but i normally set to ISO to low, exposure to 1 and white balance to auto. Try to play with the settings and compare the images so you could have the right setting to your liking.